On the heels of his eighth No. 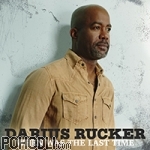 1 Country single in the US , Darius Rucker , the 3 time Grammy Award winner releases his brand new album "When Was The Last Time". The new album is produced by Nashville producer Ross Copperman (Dierks Bentley, Brett Eldredge, Keith Urban) and will be yet another signature moment in the multiplatinum career of one of music's most beloved figures. Page generated 23.4.2019 at 03:02:58 in 0.169 seconds.